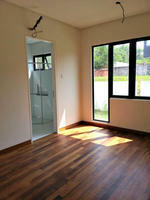 Tell Joe Er you saw this ad from DurianProperty to get best deal. 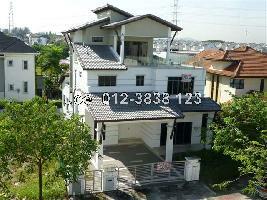 BRAND NEW 3 storey move-in condition Modern Design Bungalow with SWIMMING POOL with timber decking and LIFT, Free hold , Gated with 24 Hour Security and next to USJ Heights and Tropicana Metropark. 6+2 Rooms (with 1 nos JACUZI) 7 Bathrooms , modern car porch. Dry kitchen cabinet c/w electrical equipments. Fully air-cond fittings, hot water system, alarm system, CCTV, auto gate system, whole house LED down light , SAUNA ROOM, Gym room with Equipment ,Outdoor Yoga garden,family hall with roof garden, AV Room , Fully landscape.. Roof Garden with LIFT, Yoga roof ble Volumn Living Hall with Sofa set. AV room c/w Karaoke Set . Please see more of my listings at http://Joe_Er.myagent.my/. 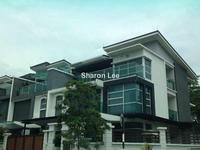 You may view Subang Heights Profile here.